What are the brightest stars in the night sky? The brightest stars in the night sky as viewed from Earth are Sirius, the “Dog Star,” in the constellation Canis Major (the Big Dog); Canopus, in the constellation Carina (the Keel); and Rigel Kentaurus, more commonly known as Alpha Centauri, in the constellation Centaurus (the Centaur). These three stars are not, however, the three stars in the night sky that emit the most light—they are the three stars that emit the most light onto Earth. 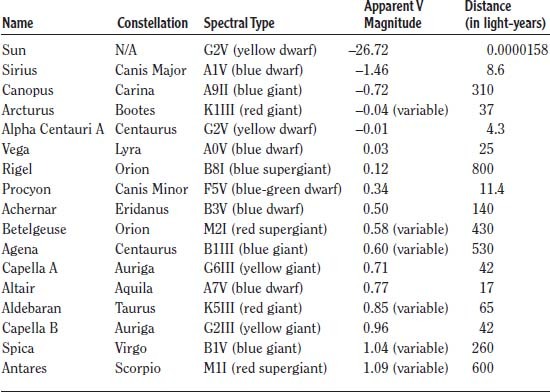 The table below lists the brightest stars we can see from Earth.